Bonded Business Services, Ltd. was established in 1952, which means that we have over 50 years of experience in providing debt collection services. The top 13 department employees in the company have accumulated over 145 years of experience in the collection industry. BBS’s average collection rate is typically two to three times the national average. BBS has a dedicated team that ensures the company’s practices are kept in compliance with the fast-changing rules and regulations pertaining to the billing and collection industry. Our collectors are not commission-driven. Most agencies provide commission to encourage their collectors, but we found that this creates bias and can prevent collectors from putting forth an equal effort for every client. Our collectors give every account, regardless of how big or small it may be, personal attention for the good of the client they are collecting for, rather than their own individual benefits. Our collectors use personal phone calls to establish sincere connections with consumers and find individualized solutions that work for debtors and successfully collect for clients. We use top-rated software from Roydan to improve productivity through integrated solutions and a customizable database that allows our collectors to safely track and maintain debtor information for thousands of clients. Because security for clients is a top priority, our billing and collections database server is hosted by ISCorp. They utilize several safety protocols and regular vulnerability assessments to ensure clients are safe from data breaches, identity theft, and credit card fraud. 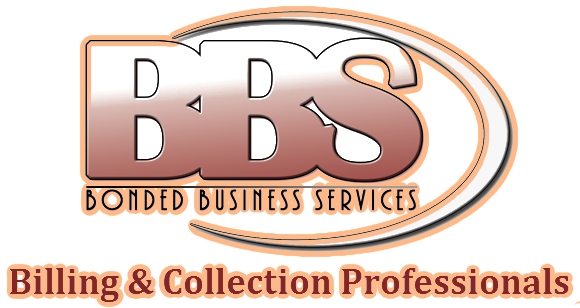 BBS specializes in collecting in the Rocky Mountain region and also has the ability to bill and collect in all 50 states through partner agencies. Our legal department is highly adept at locating assets and taking the necessary legal action when collectors have exhausted all other efforts. We also have a client services department in place that was specifically designed to maintain relationships with clients. They are dedicated to answering any questions and serving all potential needs that arise regarding business at BBS. The owner of BBS has been working in the collection industry since 1999. He has served as a board member of the Associated Collection Agencies, Colorado, Wyoming, and New Mexico unit for many years, and has served as President of the association twice.